The Nags Head Fishing Pier is an institution on the Outer Banks and a long-standing friend and client of our business. 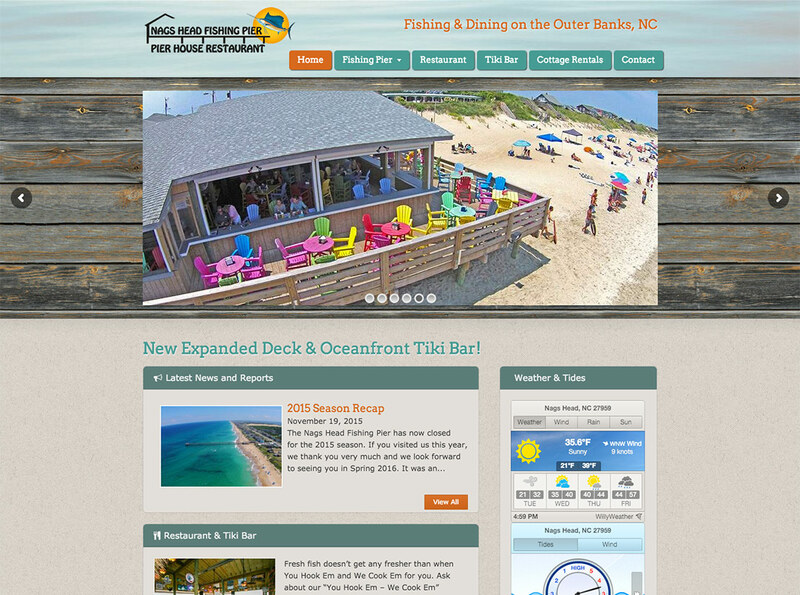 This new website coincided with a major expansion for the pier with the addition of the outside Tiki Bar and Grill. We worked with the Pier to coordinate professional-quality photography that properly showcases everything they have to offer. We complimented the new imagery with a fresh design and brought all of the modern web goodies (responsive design, news feed, and easy-to-update WordPress content management system) to this time-tested OBX favorite!